Two of the National Football League’s greatest legends met again Sunday afternoon. This time, however, it was in a more cordial and friendly type of way. 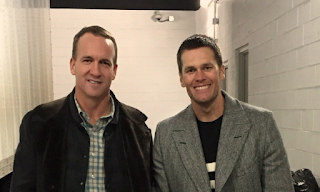 After the New England Patriots’ 16-3 victory over the Denver Broncos, Tom Brady and Peyton Manning took time to pose for a picture, talk family and catch up with one another. What will forever be known as one of the greatest rivalries in the NFL (spanning from 2001-2015), will now live on as a respectable friendship. “I really like Peyton. We had a great friendship over the years and hopefully it stays that way for many years to come,” Brady mentioned in his weekly interview with Westwood One. In that same interview, he admitted that Peyton wanted to “beat the heck out of me as Tom Brady the player” but he also said that when you’re not in that jersey, it’s a whole new mindset. “There are a lot of things in common that we’ve had over the years, so it’s nice to have someone who can relate to a lot of similar experiences we’ve had. 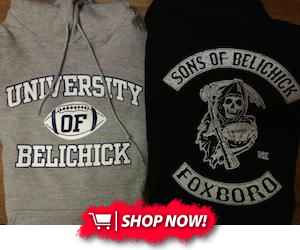 Being that we were in it together for so long at the same time, it’s really a special relationship to me,” Brady said. Legends on the field and off, these two left us with some incredible football games. Thanks for the memories, guys.